This article aims to give you an overview of the US number porting process. Every number (DDI) is provided and serviced by a carrier (provider). Sometimes a client may wish to change carriers but keep the same number. In these situations, a number port is coordinated to move the number from one carrier (the “losing carrier”) to the other. How do I port a number out/in? 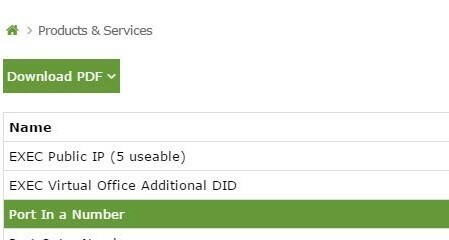 To port a number into essensys, navigate to the tenant who the number will be allocated to and add the “Port In a Number” service to their account. A ticket will be auto-generated and an essensys engineer will follow up with you to gather the necessary details to complete the number port. 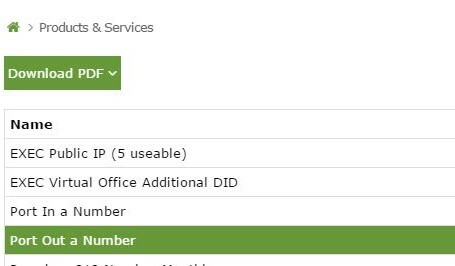 To port a number out from essensys, navigate to the tenant who the number is currently allocated to and add the “Port Out a Number” service to their account. A ticket will be auto-generated and an essensys engineer will follow up with you to gather the necessary details to complete the number port. What information is needed for a number port? For each number you wish to port into essensys, please provide its intended purpose/use (ie, fax, main line, toll-free, etc). In the case of toll-free numbers, the base number must be provided. If you don't know or have this information, please follow up with the losing carrier and they will be able to provide it to you. How long until the number is successfully ported? There is a 12-21 business day lead time to successfully port a phone number. If all significant information is provided in advance, the porting process is more likely to be completed closer to the 12-business day time frame. The porting numbers must remain active on the previous account until the number port completes. When does the number get ported (into essensys)? Number ports typically take place after business hours to ensure service isn’t interrupted. If the customer has a desired maintenance window, please advise us so that we may be able to accommodate it. If you have any questions/concerns regarding number porting in the US, please raise a case via the Support tab in Connect.